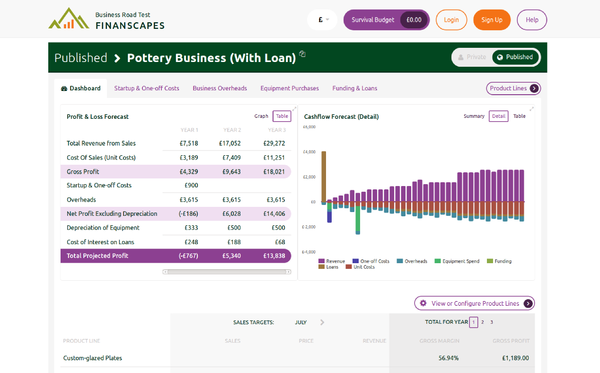 Here's a taster of what you can expect from Finanscapes. Then you can use everything yourself for free here. Easy to Use and Powerful to Boot! Not everyone loves maths. In fact, only a minority do. But understanding a business, its potential profit and cash flow shouldn't be a drudge for the rest of us. 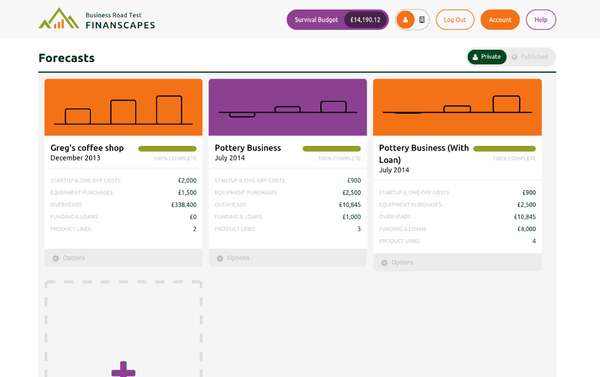 Use our easy, beautiful tools to model your business and get straight to the information you need to know. No complexity, no formulas to test, no errors to interrupt your thinking. Don't reinvent the wheel, focus your time on the high-value task of planning your business. Benefit from the experience of the mentors and advisers that have contributed to Finanscapes over the last 3 years. As soon as you begin we show you how your business will shape-up given the costs and incomes you've entered. 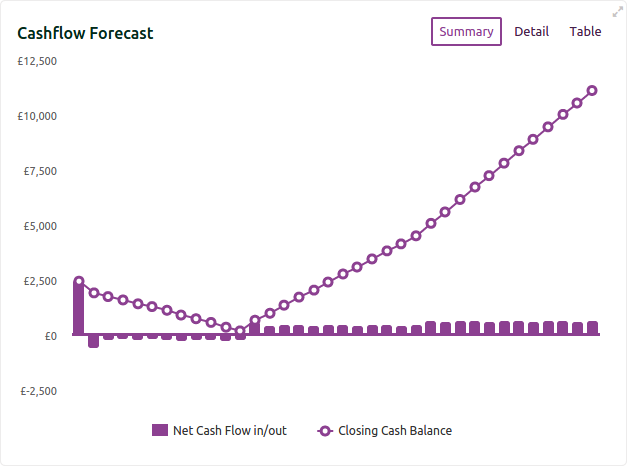 See at-a-glance how your cash flow will shape-up, or drill down to see where your money is going and how profitable each product line or service will be for you. Don't stumble through a forest of numbers. Cut straight to the information you need to know. It's much cheaper, easier and less stressful to try out your ideas and see how they'll affect your success before you implement them. Run the numbers quickly an easily, then make decisions based on a forecast rather than a guess in the dark. Try things out, make better decisions, build a stronger business. Investors and Lenders want to know you've thought carefully about your business, you understand it and are making smart decisions about its future. They will judge based on the very same indicators that we present you - but they benefit from our standard format and accurate calculations. Don't add barriers for your investors. Send them a link to a Finanscapes plan to boost your credibility and take away their overhead of checking through your Excel formulas. Do you Provide Mentoring or Support? Do you provide support and help other businesses to grow? 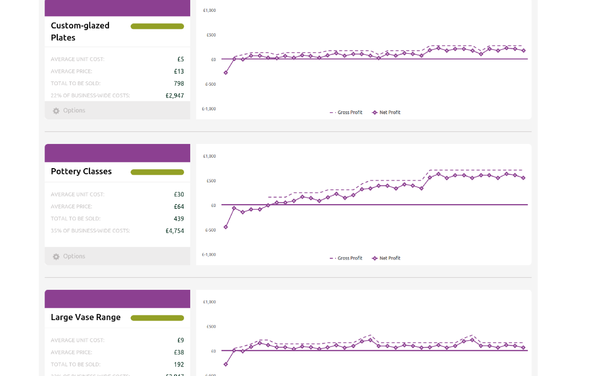 Use the mentor console to monitor progress and see, even update, your clients' plans online. Extend your reach, reduce your costs.